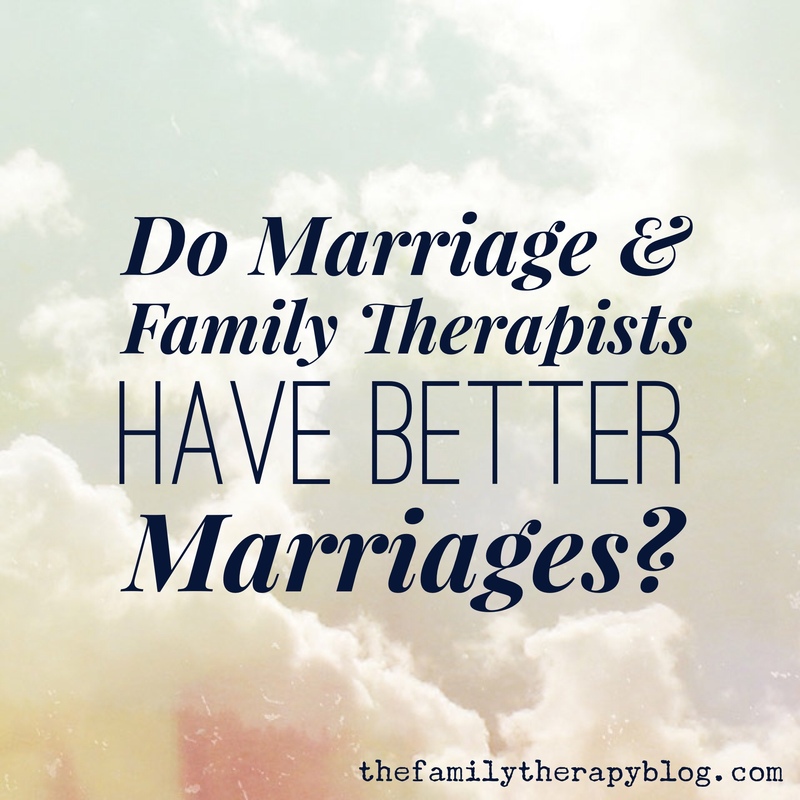 Home » Benefits of Being a Therapist » Do Marriage & Family Therapists Have Better Marriages? Do Marriage and Family Therapists have a lower than average divorce rate? Have you ever wondered if there was a link between divorce rates and your profession? McCoy and Aamodt (201 0) compiled the divorce rates for 449 occupations in the United States. They stated 16.96% reported that they “had been in a marital relationship, but were no longer with their spouse [separated or divorced]” (p. 3). This number is the average of each occupation’s average, which may account for the low number. The current employment status of the sample was not given. The same study suggests that divorce rates were higher for occupations with higher numbers of African Americans and females, while rates were actually lower for occupations with higher numbers of Asian Americans and higher average incomes. “Extruding and forming machine setters, operators, and tenders, synthetic and glass fibers” at 32.74%. There was not a specific occupation listed as Marriage and Family Therapist in the same study, however, there were multiple occupations in which a Marriage and Family Therapist may fall. McCoy and Aamodt listed the occupation “Therapists, all other” as having a divorce/separation rate of 24.20%, “Sociologists” as 23.53%, “Social workers” as 23.16%, “Counselors” as 22.49%, “Miscellaneous social scientists and workers” as 19.65%, and “Psychologists” as 19.30%. Each one of these categories had a divorce/separation rate well above the national average for all occupations of 16.96%. The specific goal of that study was to further investigate the divorce rates of police officers as compared to other occupations. The researchers did not speculate as to why the divorce/separation rates of those in the field of psychotherapy might be so much higher. To all my Marriage and Family Therapist colleagues, why do you think our divorce rate is not better when compared to other professions? 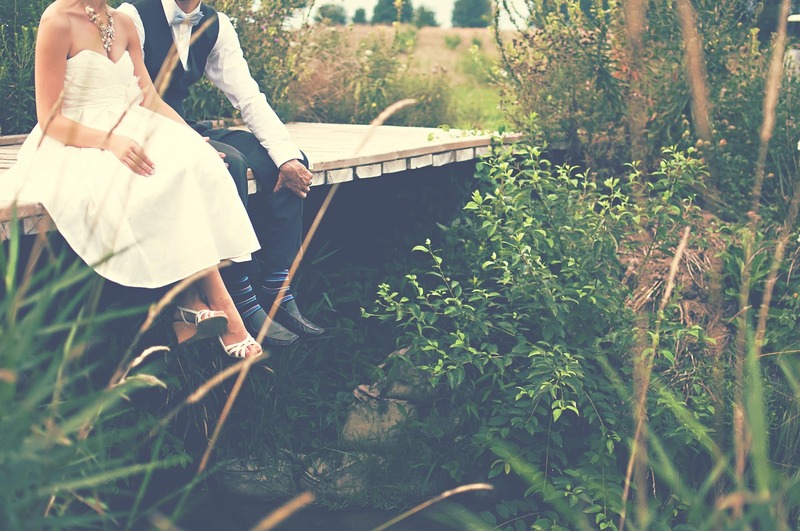 Should we not all be marriage rockstars? Please read the next article in this series, Marriage & Family Therapy: Why Do Therapists Divorce? McCoy, S. P., & Aamodt, M. G. (2010). A comparison of law enforcement divorce rates with those of other occupations. Journal of Police and Criminal Psychology, 25, 1-16. 14 Comments on Do Marriage & Family Therapists Have Better Marriages? My husband left me after he went to school to become a LMFT. He learned our 18 year marriage was unhealthy because it was based on a trauma bond. This has destroyed my life as well as our son’s. What a bunch of crap. over 50% of his class was divorced by the time they left school. These people will now work to destroy marriages and families. I no longer believe in marriage counseling. It strikes me that partner selection is a factor in successful marriages. It could be that those who are drawn to the counseling field are a self-selecting group of folks who are more apt to be open-minded about people and see their strengths more than their weaknesses, and thus, are more likely overlook certain qualities in a partner which others might find too negative. However, this might also mean that those in counseling fields are more apt to set themselves up for challenging partnerships. The statistics suggest that optometrists, for instance, might have a ‘clearer view’ of their potential partner’s qualities (pun intended). Ha, ha, I love a good optometrist joke. I think there is plenty of truth to what you are saying. There are so many factors in spouse selection and staying married that it is hard to boil it down to causative factors. Thanks for commenting! Thank you, Dina! I have to admit, I also find it fascinating. We therapy folks are a complex group. I hope to shed some light on this subject in the future. Thank you for posting! I’m so enjoying this conversation! I know that in my experience as a psychologist, I’m much more “aware” of others’ issues and spend less time looking at my own – hazards of the trade. I have 3 wonderful young adult children who remind me to “keep in my own hula hoop”! Yes, while I think training in MFT can have significant impact in a person’s relationships, ultimately healthy relationships are built on my more than that. My husband and I both brought our “stuff” into the marriage and this would have happened regardless of our career choices. At times the burden of knowledge can be great. Thank you for commenting! Happily married MFT here, married 25 years to a Mechanical Engineer, neither of us had been married before. Raised 3 children to adulthood. I chose this profession later in life, because of early life experience, experience with raising my family, and my own fascination with how people interact and relate. Initially it was difficult to learn about family dysfunction without questioning my own relationships, but then I reminded myself that what may be dysfunctional in one family may not be in another. It’s not a problem unless its a problem. I reminded myself that relationships are not static, but move toward and away from and back again, so to look at my own as “too close” or “too far”, boundaries too rigid or too diffuse, I might create a problem out of the normal ebb and flow. This helped me to not seek out or create problems. When I do see one, my spouse and I discuss it right away, whether its with our own or with the kids, so we can be on the same page to address it. I don’t believe the choice of profession has much impact on our marriage and parenting as our compatibility do. We’ve simply treated each other as the most important person in the world from Day 1. Yes, you touched on several important items. It is hard to “know” what we know. Consistent self care has always been a struggle for me. I tend to give it all away and then there is nothing left for myself or even my husband. Thank you for the reminder! If you asked my wife, I think she would say being married to an MFT is harder and more robust than being married to someone who isn’t an mft. I think we have the burden of knowledge and find problems where there may not be any. This can be a burden and a blessing. It requires a patient, understanding, and grounded spouse who can tell us when we’re being crazy and fighting shadows. unfortunately, the same abilities that make a good therapist often can put additional strain on a marriage. It’s important to take our own advice, seek therapy when necessary, and to find ways to remain grounded. Thanks for writing this. I’ve noticed that the amount of single/divorced people at my school is rather high at my school, which is Christian. I think it’s possible that people who come to graduate school already married may have their eyes opened regarding just how poor their own marriage is. On top of this, we are taught courses on how to cope with divorce (and to help our children cope). We are also afforded a supportive therapeutic community (hopefully). Again, this is all speculation, but it does strike me that most of the MFT professors I have do not have rings on their fingers or are on their second marriages. Yes, I certainly think you are on to something here. There are negatives and positives to the personal growth and lifestyle of a professional helper. I plan to post on this topic again with a more concrete explanation of the divorce rate. Thanks for posting! As someone who went back to school later in life to become an LMFT, these are my thoughts about why our rate isn’t fabulous. !. Knowing and doing are two different things (look how many MD’s smoke and are overweight). 2. There are 2 people involved in the relationship, you can’t always work around someone else’s choices. And 3. Although many LMFTs/therapists do go to school right away, I would guess that we have a significant population who went back to school later and/or (even younger career pursuers) chose their career because of the pain and trauma they had experienced/observed in relationships. As we know, familiarity of unpleasant situations often outweighs the clarity of better choices. It can take a lot of time and work to overcome that. Oh, let me add one more 4. Blindspots. Good question. Yes, I wholeheartedly agree with you. Much of my research from graduate school was focused on the marriages of therapists and it supports all of what you are saying here. Blindspots are huge!